After reading – Whatever It Takes: The Inside Story of the FIFA Way – you feel dirty. It is like bathing in a pool of scummy water for hours, but is nonetheless a fascinating story from a former insider of the FIFA world. Bonita Mersiades was a senior executive in the Football Federation of Australia (FFA) and one of the point people in their doomed bid to win the 2022 FIFA World Cup. From 2008 – 2010, she had an intimate view of the process of trying to gain the rights to host the globe’s largest sporting tournament. world was dominated by a series of under-arrest, convicted or plea-bargained criminals. Swarming around them were toadies of the kind that surround the powerful of any age. Think of one of Tiberius’s chums wiping the Emperor’s mouth at his Capri villa: or courtesans eating cake with Marie Antoinette or kowtowing bureaucrats in front of Genghis Khan and you have the general picture. So for fans interested in the actual experience of being inside the world of sports governance it is an intriguing read. A couple of themes emerge very clearly from “Whatever It Takes”. The first is the existence of a shadow puppet world on the outside of the FIFA world: a set of rules and regulations that are established in public. Everyone in FIFA worships these rules – in public. They pay them lip service and declare how good and important they are. In fact, inside the small world of FIFA, the executives did exactly as they pleased. According to Mersiades, one of the FFA’s bid consultants told them that the FIFA leaders never bothered to read the thousands of pages of the “bid books” nor the technical reports of the various countries. Instead what really swayed them were “intangibles things”. We have heard what some of the “intangible things” were from inside a federal court in Brooklyn, New York. How senior executives at CONCACAF and CONMEBOL (two federations that made up FIFA) defrauded almost every aspect of the business of the game: ticketing, sponsorship, TV broadcast and, of course, the rights to host the World Cup. They got away with this process for decades by dressing up their world in a layer of moral superiority. Or, as one sports official complained to me recently, “bad people using the language of the virtuous”. 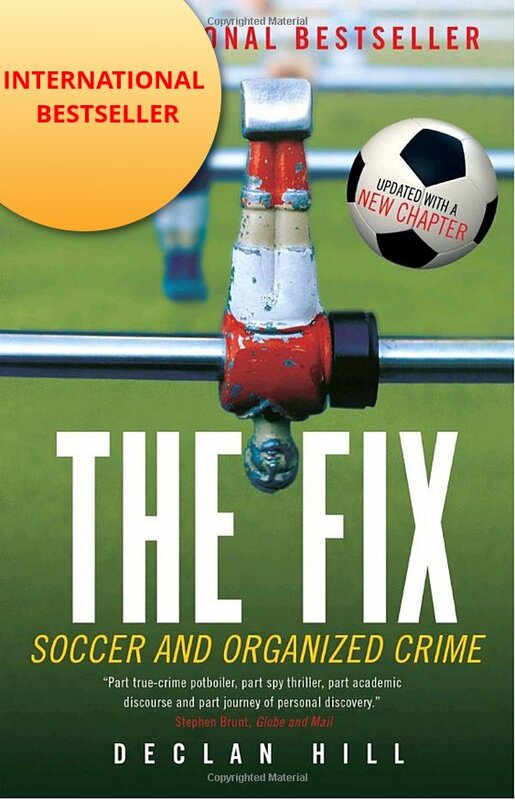 The second important issue that emerges from the pages of the book is the complicity of some of the FIFA-media pack. It is an issue that I have written about in past blogs: corruption inside FIFA was tolerated for years by many of the journalists assigned to write about it. The lid was really only lifted from outside, investigative journalists – like Andrew Jennings and Jens Weinreich. I do not blame most journalists who are genuinely covering sports. For them it is difficult enough to cover sports events and then to turn to the odd, corrupted political world of sports governance. Their challenge is one of time and resources. However, I do blame the members of the media pack who, while ostensibly covering FIFA in an objective way got into professional relationships with the various media “consultants” who swarm around the organization. I have seen similar documents that show journalists crossing the line and going from interviewing sources to accepting money and free trips from some of these types. Mersiades’ most telling stories are often told in passing. Like the journalist she is meeting in Doha whose entire trip was funded by the Qatari government. It makes you wonder if the journalist’s readers were ever told of this money? 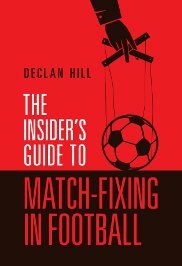 For a general reader or average sports fan, the over-riding point is that between you and the FIFA world, there exists a whole swamp of media specialists, “integrity consultants”, “independent experts” and often-compromised journalists writing about these events. There are some things wrong with the book: it would have been twice as good at half its length. It suffers from the author’s need to set every score straight. However, for all that it is an important read. As a former subscriber to World Soccer magazine, I feel I must state that they have been detailing illegal activity in CONCACAF circles and those of former FIFA president Joao Havelange since at least the late 1990s. The activities mentioned explicitly were black market World Cup ticket selling by Jack Warner and cronies among others. The result was that FIFA ignored them, probably saving their fire for a civil case someday. So not all football writers have been riding the gravy train over the years. As for the notion of bad people using the language of the virtuous, does that mean that FIFA was not genuine with its Fair Play and Just Say No to Racism platitudes plastered around stadia just after, coincidentally I had always thought, rumours of vote-buying and match-rigging laissez-faire were investigated by media not particularly gaga over football? Another idol tarnished! I am still hoping for one more scandal so we can all witness Put an End to World Hunger on every available stadium space.